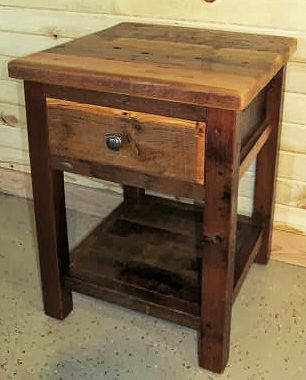 This one drawer night stand is made from authentic 100+ year old barnwood. 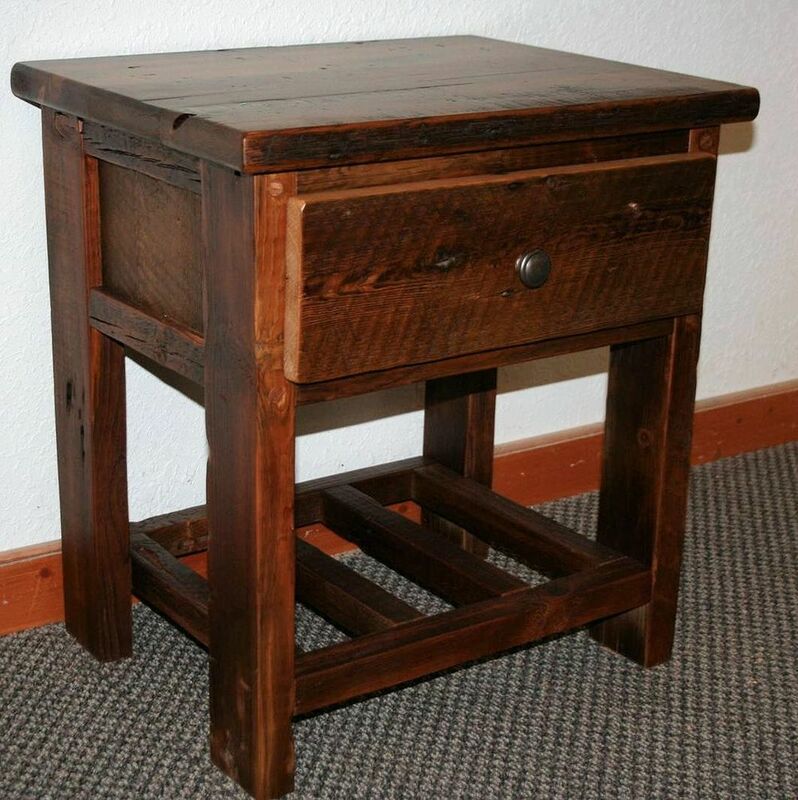 As you can see in the photos above, this nightstand can be made in different sizes and with different knobs or pulls! In addition, it can be left as natural aged barnwood or stained in different shades of brown. Matches all pieces in our barn wood bedroom line. Can also be modified to use as a living room end table.